Ima Moteki’s Nameless Paints designed to enable intuitive understanding of color #ArtTuesday « Adafruit Industries – Makers, hackers, artists, designers and engineers! “By not assigning names to the colors we want to expand the definition of what a color can be, and the various shades they can create by mixing them,” explains Yusuke Imai. Together with Ayami Moteki they form the design duo Ima Moteki. 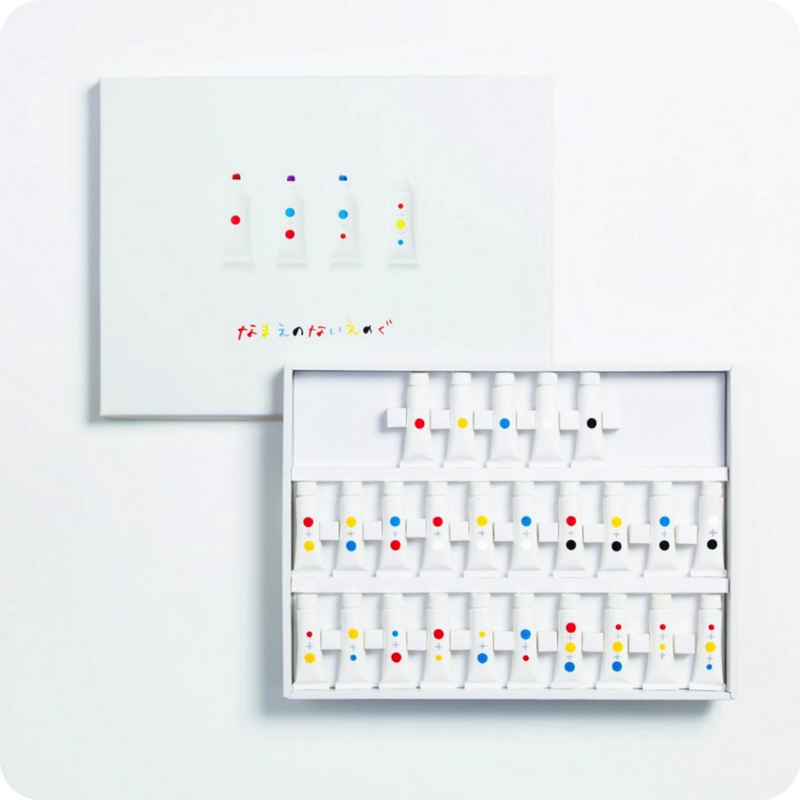 Instead of names, each tube in the 10-color paint set is identified by one or more circles of color. For tubes with more than one circle, the size of the circle indicates the proportion of paint that were mixed to create the resulting color. It’s a radical new way of getting kids to intuitively understand color and remove the preconceptions that names like “green” and “blue” create.